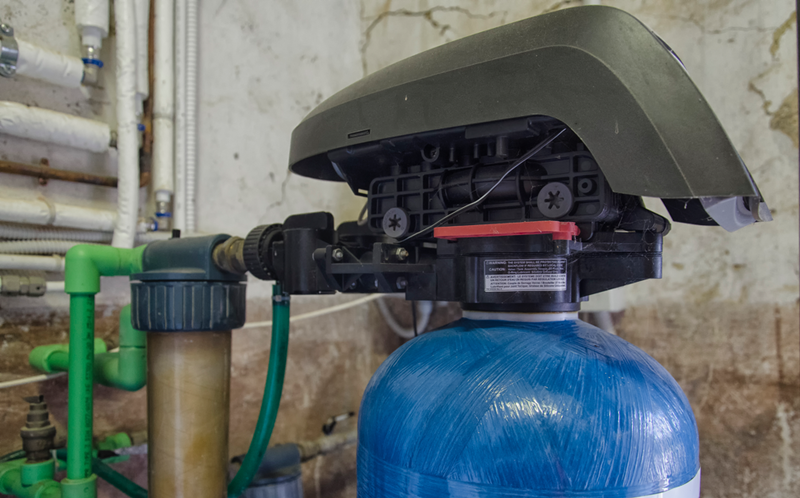 If you live in Lemont, and your water contains high levels of calcium and magnesium (and it very well could), a water softener is very important. A water softener is needed to keep these minerals at bay, protecting your home from a number of problems. Unfortunately, water softeners can encounter problems, rendering them temporarily useless. Should one of these issues arise, you’ll likely want to correct it as quickly as possible. What’s the best way to correct an issue quickly? By being able to identify the problem when it occurs. Without further ado, here are 4 water softener issues to look out for in Lemont, Illinois. In order for a water softener to function as intended, it requires the use of resin beads. Resin beads are small, pebble-like entities that float within a water softener. These beads are key to the ion-exchange process that allows water softeners to remove calcium and magnesium from your water. While resin beads are designed to hold up over the long-haul, there are cases in which they can break down prematurely. When this occurs, their corresponding water softeners lose the ability to soften water. If your resin beads have deteriorated, you will probably be able to see them floating at the top of the water in your water softener. Fortunately, they can be easily replaced. It’s simple: when the motor fails, the water softener fails as a whole. Water softeners need properly functioning motors in order to complete the softening process. Though most water softener motors will last for the life of the water softener, not all will. In some cases, motors will experience too much wear and tear, and will fail before their time. When a motor fails, there are two options: 1. You can replace the motor, or 2. You can replace the entire water softener. Generally, if your water softener is operating at a high level, you’ll just replace the motor. However, if your water softener is over 10 years old, a full replacement might be wise. Another issue that you might encounter with your water softener is clogged injectors. Injectors are needed to allow salt water into the softener treatment area. When they become clogged, salt water can not adequately make its way into said area during regeneration, and water can not be softened as needed. To repair such an issue, you must clean your softener injectors. If you’re not comfortable doing this on your own, you can bring in a water softener repair specialist to do it for you. One last issue that water softeners often encounter is the forming of salt bridges. Salt bridges are essentially walls of hardened salt. When they form they prevent salt from dissolving into water. Because salt cannot dissolve into water, the regeneration process can not be carried out, and water can not be softened. Salt bridges generally occur for one of two reasons: 1. High humidity, and 2. An excess of salt in the water softener. To eliminate salt bridges, you must chip away at them with a long stick or broom handle. When doing so, be careful not to puncture the exterior of your softener. Is your water softener no longer performing as it should? Looking to utilize water softener repair services in Lemont, Illinois? If your answer is ‘yes’, the purification experts with Johnson Water Conditioning are the people to see. Our team of experienced and skilled purification specialists is well-versed in the diagnosis and repair of all types of water softener issues. We can have your softener back on the right track in no time.